I am motivated to write this article for my chiropractic colleagues on this Thursday, December 14, 2017. In didactic lecture I have taught that the clinical examination is more important than diagnostic imaging in diagnosing a patient’s source of pain; even going so far as to say that MRI should actually confirm the clinical examination impression. Well, this week Karran et al (1) said the same, namely that not to do and MRI of low back pain patients, but rather explain normal MRI findings before ordering the MRI; however explain in detail the clinical examination findings and the clinical impression of what the problem in their spine is. If an MRI is ordered, which is not ordered until 6-8 weeks of specialized spinal manipulation treatment, the patient will see the normal changes seen on an MRI that do not really cause their pain problem. Why is this important? Because 76% of people show disc degeneration and herniation that are not even symptomatic; and to show the patient the MRI and explain all these non contributory findings to their sets up a confused and often depression mental image of their health. DO NOT BLAME PATIENT’S SYMPTOMS ON SPINAL CHANGES THAT DO NOT CAUSE THEIR PAIN. Explain the examination findings in an enhanced reporting strategy. Intervention strategies such as enhanced reporting methods and the provision of quality information (without imaging) have the potential to improve the outcome of patients with recent-onset low back pain. As spinal specialists, we have studied together and I have taught that we treat patients, not mris. As taught in our certification course, it is the thorough orthopedic, neurological, and physical examination that gives the diagnosis in the majority of patients. Do this examination as we present and all else follows. 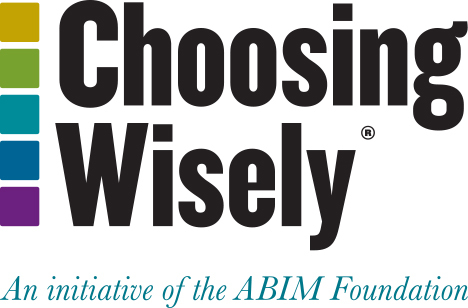 Ordering MRI or even plain xray diagnostic imaging will decrease as suggested by the Choosing Wisely movement of medicine today. (1) Karran EL, Medalian Y, Hillier SL, Moseley GL. The impact of choosing words carefully: an online investigation into imaging reporting strategies and best practice care for low back pain. Peer J. 2017 Dec 6;5:e4151. doi: 10.7717/peerj.4151. eCollection 2017. In my 55 years as a chiropractic doctor I have seen great controversy but none greater than that of the role of the nervous system in human disease origin. Nerve compression today is being studied and its conclusions regenerate the early chiropractic concepts of human disease. Let’s look at the following two papers published and in this pearl. INTERVERTEBRAL DISC DISEASES (IVDDS) AFFECTING PATHOLOGICAL CHANGES LEADING TO DISC HERNIATION, PROLAPSE AND DEGENERATION AS WELL AS DISCOGENIC PAIN IS STUDIED FOR SYMPATHETIC NERVE INVOLVED IN PAIN SIGNALLING IN IVDD PATIENTS. PIGS WERE GIVEN AN INJECTION OF THE OMINIPAQUE CONTRAST AGENT AND FAST BLUE (FB) RETROGRADE TRACER INTO THE L4-L5 INTERVERTEBRAL DISC AND EUTHANIZED AT 2, 1, AND 3 MONTHS POST INJECTION. FOLLOWING EUTHANASIA, BILATERAL SYMPATHETIC CHAIN GANGLIA (SCHG) TH13 TO C1 WERE COLLECTED. THE PRESENCE, DISTRIBUTION AND NEUROCHEMICAL CHARACTERISTICS OF RETROGRADELY LABELLED SCHG NEURONS WERE EXAMINED. THE MAJORITY (88.8%) OF ALL FB+ CELLS WERE FOUND IN THE L3-L5 SCHG. MOST FB+ NEURONS STAINED FOR DOPAMINE BETA HYDROXYLASE (DBH); ONE-THIRD TO ONE-QUARTER STAINED FOR SOMATOSTATIN (SOM), NEUROPEPTIDE Y (NPY) OR LEU-ENKEPHALIN (LENK); AND ONLY A FEW STAINED FOR GALANIN (GAL). COMPARED WITH THE CONTROL, THE GREATEST DECLINE IN NEUROCHEMICAL IMMUNOSTAINING WAS OBSERVED 2 WEEKS POST INJECTION, AND THE LOWEST DECLINE WAS NOTICED 1 MONTH POST INJECTION. OUR STUDY, FOR THE FIRST TIME, PROVIDES INSIGHT INTO THE COMPLEX PATTERNS OF INTERVERTEBRAL DISC SYMPATHETIC INNERVATION AND SUGGESTS THAT THE BEST TIME FOR NEUROCHEMICAL BALANCE RESTORATION THERAPY WOULD BE 1 MONTH POST-INJURY, WHEN THE NEURONAL CONCENTRATION OF ALL STUDIED SUBSTANCES IS CLOSE TO THE INITIAL PHYSIOLOGICAL LEVEL, THUS PROVIDING FAVOURABLE CONDITIONS FOR SUCCESSFUL RECOVERY. Intervertebral disc diseases (IVDDs) form a group of a vertebral column disorders affecting a large number of people worldwide. It is estimated that approximately 30% of individuals at the age of 35 and approximately 90% of individuals at the age of 60 and above will have some form of disc-affecting pathological changes leading to disc herniation, prolapse and degeneration as well as discogenic pain. Here, we aimed to establish the origins and neurochemical characteristics of porcine intervertebral disc sympathetic innervation involved in pain signalling in IVDD patients. Pigs were given an injection of the Ominipaque contrast agent and Fast Blue (FB) retrograde tracer into the L4-L5 intervertebral disc and euthanized at 2, 1, and 3 months post injection. Following euthanasia, bilateral sympathetic chain ganglia (SChG) Th13 to C1 were collected. The presence, distribution and neurochemical characteristics of retrogradely labelled SChG neurons were examined. The majority (88.8%) of all FB+ cells were found in the L3-L5 SChG. Most FB+ neurons stained for dopamine beta hydroxylase (DBH); one-third to one-quarter stained for somatostatin (SOM), neuropeptide Y (NPY) or leu-enkephalin (LENK); and only a few stained for galanin (GAL). Compared with the control, the greatest decline in neurochemical immunostaining was observed 2 weeks post injection, and the lowest decline was noticed 1 month post injection. Our study, for the first time, provides insight into the complex patterns of intervertebral disc sympathetic innervation and suggests that the best time for neurochemical balance restoration therapy would be 1 month post-injury, when the neuronal concentration of all studied substances is close to the initial physiological level, thus providing favourable conditions for successful recovery. CHRONIC CONSTRICTION INJURY OF SCIATIC NERVE DORSAL HORNS CHANGES CIRCULAR RNA (CIRCRNA)EXPRESSION IN RAT SPINAL DORSAL HORN TO CAUSE NEUROPATHIC PAIN AT THE LUMBAR ENLARGEMENT SEGMENTS (L3-L5). CIRCRNA MICROARRAYS SHOWED THAT 469 CIRCRNAS WERE DIFFERENTIALLY EXPRESSED BETWEEN CCI AND SHAM-OPERATED RATS. THREE OF THEM (CIRCRNA_013779, CIRCRNA_008008, AND CIRCRNA_003724) OVEREXPRESSED >10 TIMES AFTER CCI INSULT. CCI RESULTED IN A COMPREHENSIVE EXPRESSION PROFILE OF CIRCRNAS IN THE SPINAL DORSAL HORN IN RATS. CIRCRNAS IN THE DORSAL HORN COULD BE HELPFUL TO REVEAL MOLECULAR MECHANISMS OF NEUROPATHIC PAIN. Cao S, Deng W, Li Y, Qin B, Zhang L, Yu S, Xie P, Xiao Z, Yu T. Chronic constriction injury of sciatic nerve changes circular RNA expression in rat spinal dorsal horn. J Pain Res. 2017 Jul 17;10:1687-1696. doi: 10.2147/JPR.S139592. eCollection 2017. 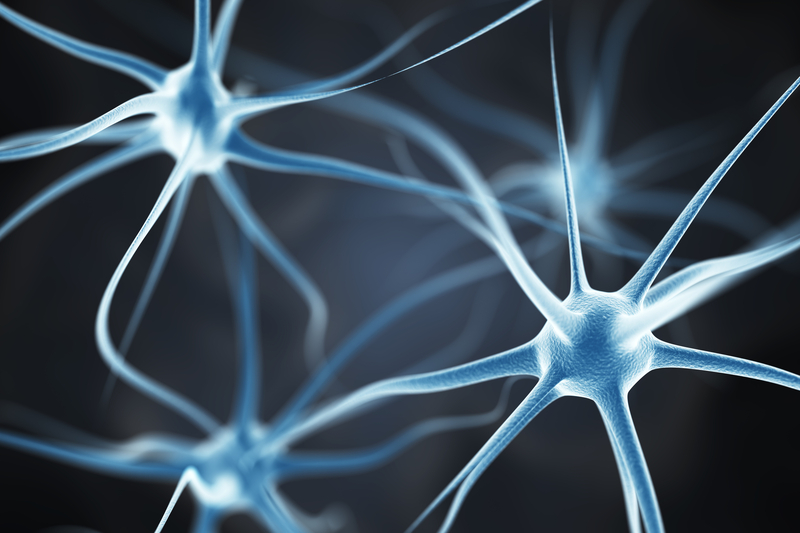 BACKGROUND: Mechanisms of neuropathic pain are still largely unknown. Molecular changes in spinal dorsal horn may contribute to the initiation and development of neuropathic pain. Circular RNAs (circRNAs) have been identified as microRNA sponges and involved in various biological processes, but whether their expression profile changes in neuropathic pain condition is not reported. METHODS: To test whether neuropathic pain influences circRNA expression, we developed a sciatic chronic constriction injury (CCI) model in rats. The CCI ipsilateral spinal dorsal horns of lumbar enlargement segments (L3-L5) were collected, and the total RNA was extracted and subjected to Arraystar Rat circRNA Microarray. Quantitative real-time polymerase chain reaction (qPCR) was used to confirm the circRNA expression profile. To estimate functions of differential circRNAs, bioinformatics analyses including gene ontology (GO) and Kyoto Encyclopedia of Genes and Genomes Pathway analyses were performed for the top 100 circRNAs and circRNA-microRNA networks were constructed for the top 10 circRNAs. RESULTS: circRNA microarrays showed that 469 circRNAs were differentially expressed between CCI and sham-operated rats (fold change ≥2). In all, 363 of them were significantly upregulated, and the other 106 were downregulated in the CCI group. Three of them (circRNA_013779, circRNA_008008, and circRNA_003724) overexpressed >10 times after CCI insult. Expression levels of eight circRNAs were verified using qPCR. GO analysis revealed that thousands of predicted target genes were involved in the biological processes, cellular component, and molecular function; in addition, dozens of these genes were enriched in the Hippo signaling pathway, MAPK signaling pathway, and so on. Competing endogenous RNAs analysis showed that circRNA_008008 and circRNA_013779 are the two largest nodes in the circRNA-microRNA interaction network of the top 10 circRNAs. CONCLUSION: CCI resulted in a comprehensive expression profile of circRNAs in the spinal dorsal horn in rats. CircRNAs in the dorsal horn could be helpful to reveal molecular mechanisms of neuropathic pain. Glycosaminoglyan in disc cartilage is well-documented. This set of researchers wanted to find out what happens to the glycosaminoglycan if the disc is damaged. So, they punctured the lumbar annulus fibrosus. After 5 weeks, they performed an MRI to estimate disc volume and glycosaminoglycan distribution. 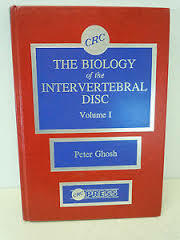 The results show that the disc volume increased significantly at 4 weeks after the puncture. The disc’s nucleus pulposus (center) displaced from annulus fibrosus (surrounding rings) increased T1 weighting of disc and glycosaminoglycan significantly decreased. So basically if there is damage to a disc, glycosaminoglycan leaves the damaged disc, and the disc changes. 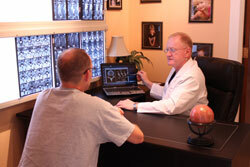 Nutritional and chiropractic treatment seems logical to help repair the damage. 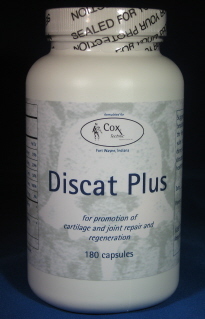 Read more about this research, the check out the Discat Plus formulation for disc health and Cox Technic for disc herniation treatment and relief. Chiropractic and Back Pain. Chiropractic and Neck Pain. Chiropractic and Spine Pain. The public thinks of chiropractic for back pain by and large. Chiropractic is reknown for its back pain care. Chiropractic has evidence-based technique to relieve and control back pain like Cox Technic. Back pain and chiropractic fit together. The chiropractic physician is skilled in the diagnosis, examination and treatment of back pain as well as its prevention with nutrition, exercise and lifestyle choices. The chiropractic back pain research continues to evolve in support. Chiropractic physicians train specially to keep abreast of the latest research and Cox Technic treatment application in seminars. Back pain patients find Cox Technic physicians for their back pain relief when they search the referral directory of certified Cox Technic physicians. Research leads the way in evidence-based care and in Cox Technic. Contact Cox Technic if you have any questions.